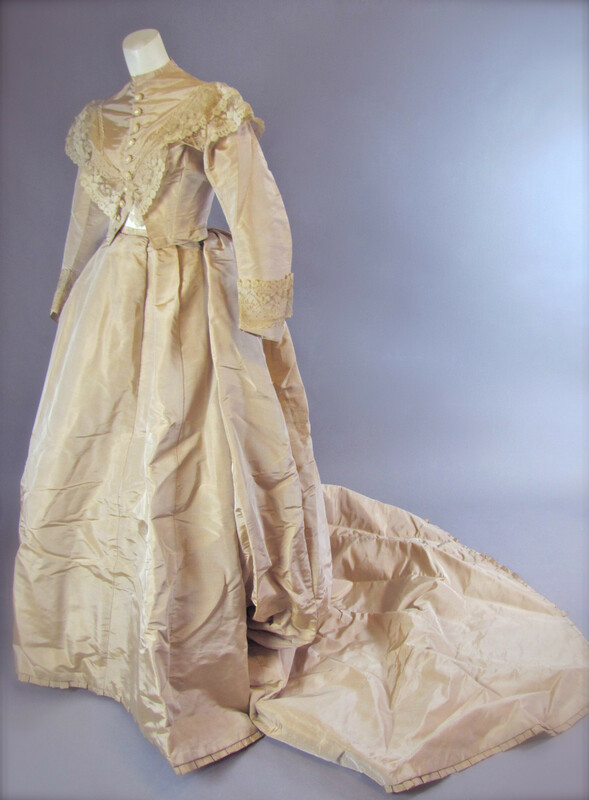 This two-piece Victorian gown dates from the 1860's. It is fashioned of fine golden beige silk with a Brussels lace decorated bodice and sleeve edges. want to fool with it too much. The gown is sturdy and very well preserved. 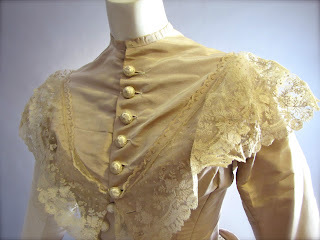 Has a beautiful sheen quality to the silk as well. The very full skirt rustles with movement and has a long train (over 7 feet) and has a pleated edge around the hem. 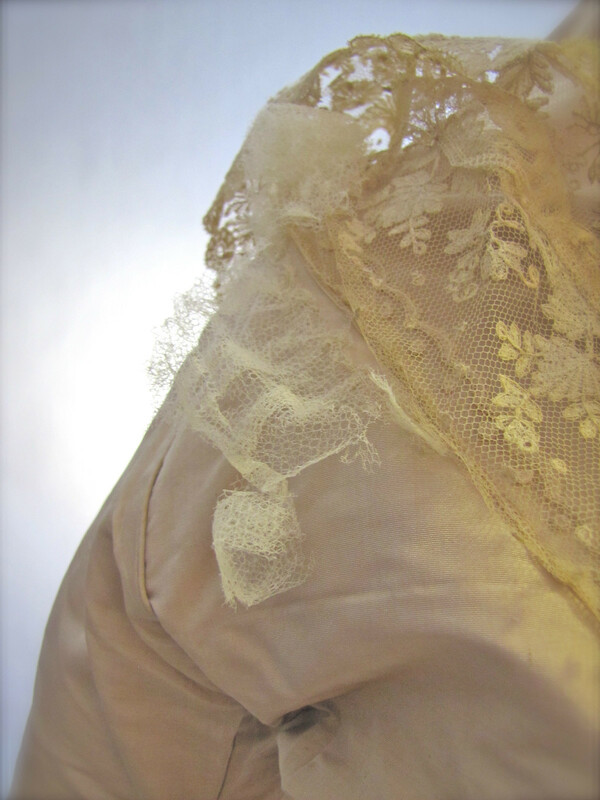 It's lined with a stiff gauze material and it fastens at the waist with hook and eye. 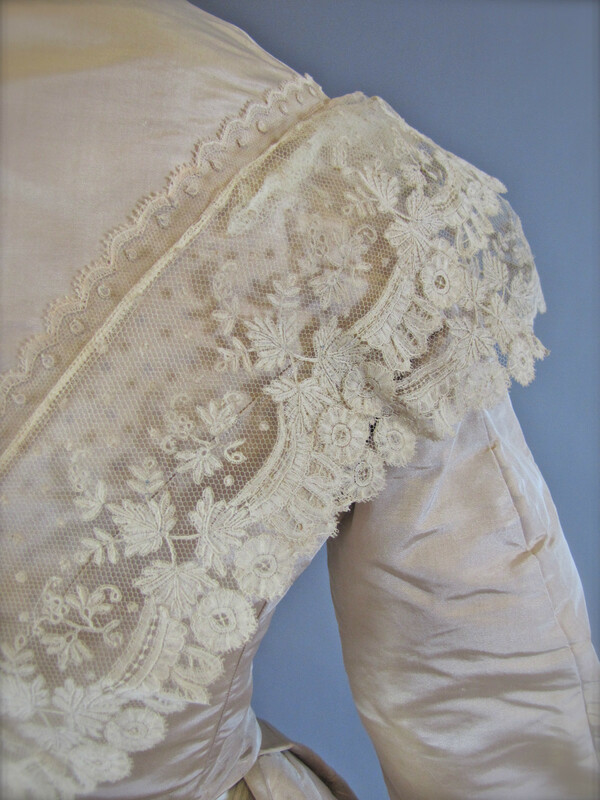 any significant issues other than the deteriorating netting beneath the shoulder lace (see photo #5) and about 5 tiny spots on the lower skirt/train (see photo #6). capacity to restock this gown so this is an AS-IS final sale. A collector or museum would likely be very pleased with this antique gem. No label or identifying marks. The train confuses me but I think it might just be because it's a wedding gown.